The past few weeks I seemed to have an influx of parcels through the post - Bits I bought in the sales, new books for a new year, homeware items, my beauty subscription, and then my Degustabox! For those that don't know, I started Slimming World a few weeks ago, so was a little bit apprehensive of receiving my Degustabox because I had a feeling it would be full of items I can't use without going over my syns... how wrong could I have been! 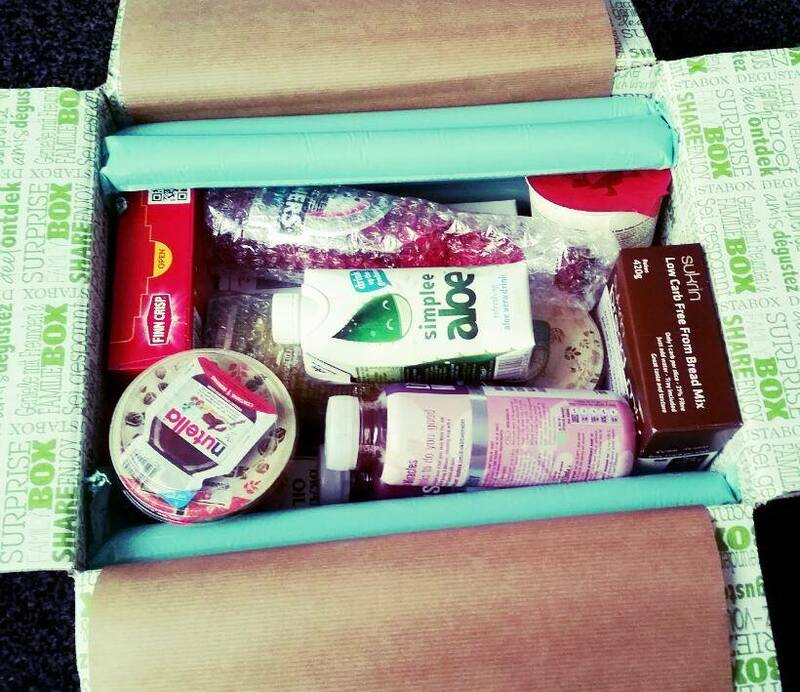 Being the start of a brand new year, Degustabox knew people would be starting new diets so they popped out a box full of healthy stuff, which may not sound exciting to some, but to me it was fab because I knew I wouldn't have to give half of it away! 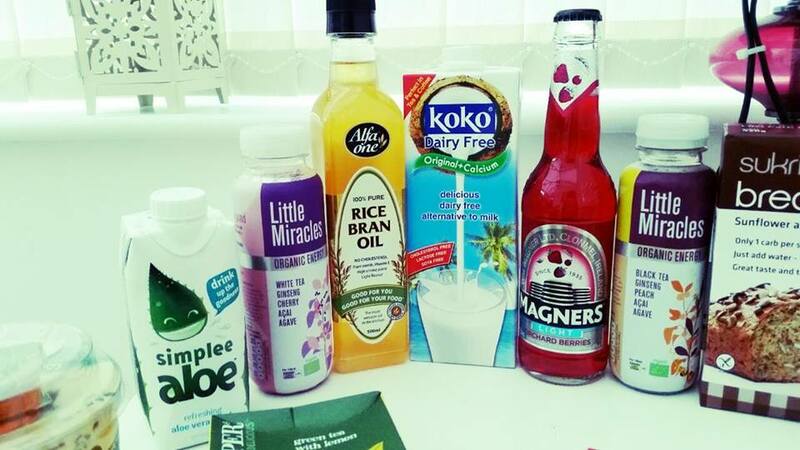 Aloe Vera drink is a bit like marmite for most people, you either love it or hate it. Personally I love the stuff. I discovered it in Tesco's a year or so ago, and found that you can buy a small bottle for 99p. I regularly used to buy it whilst I was at work and loved it. I then went one day and it was no where to be seen, and I haven't found it since, so I think they may have discontinued it. Simplee Aloe I will admit wasn't as tasty, it was a little more bitter, so I probably wouldn't reach for it again. Its nice knowing you are putting some goodness into your body though. I got 2 bottles of these in 2 different flavours (black and white tea with peach/agave etc). I preferred the white tea over the black, but they were still both drinkable. I took both of these to work with me and had them to hand at my desk whilst I was in the office. I've still not used this as we only just started on another oil before receiving this, however due to being on SW, I have been using the 1kcal Fry Light spray for oil, so because this is yet another healthy oil, I definitely wont hesitate in using this. Honestly, I'm not a big fan of this. I've tried it on both cereal and in my tea. It's an alternative to normal cows milk and is made with pressed coconut milk. It had a strange after taste and didn't have the creaminess of usual milk because it's dairy-free. I tried a chocolate dairy-free milk a few weeks ago and this reminded me of this... all dairy-free milk appear to have a similar taste despite their flavour. I'm just glad I'm not intolerant to dairy foods because I'd be sad if I had to live on this! Magners Light (Orchard Berries) - £4.99 for a crate of 4. I'm not a massive alcohol drinker, but this light fruity cider does sound like something I would be able to drink, but I'm waiting till it gets warmer! Till then its sat chilling in my fridge! My first thought when I saw this was '...but I haven't got a bread maker'. 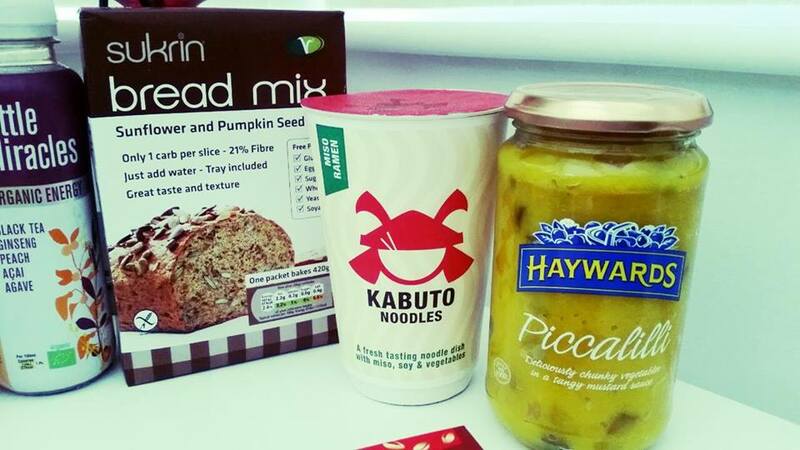 After reading the packaging, you only need an oven to create this low-card sunflower and pumpkin seed bread. It's gluten free, which again, is something I'm not used to trying. You can make tortilla wraps, pizza bases, burger buns etc with this, so I'm excited to eventually give this a go. I saw a few people receive a cake mix from this brand as opposed to a bread mix, and that sounds exciting too! These Japanese-esque noodles are in celebration of the Chinese New Year. 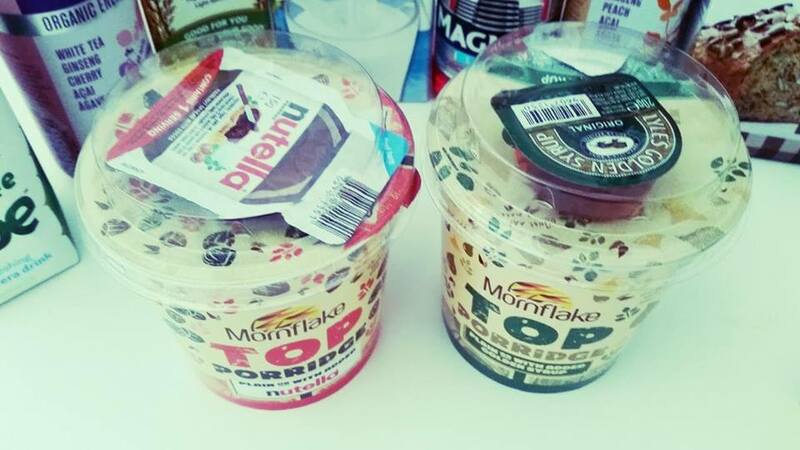 I've yet to try them but I love a good bowl of noodles for a quick snack! This one was a bit of a bizarre one for me. It's been around years which confused me, because I though Degustabox are meant to introduce you to new food products on the market. Nevertheless, I like piccalilli. I can't say it's my go-to sandwich sauce filler, but I'm sure we'll get some use out of it. A box of 10 green tea teabags. 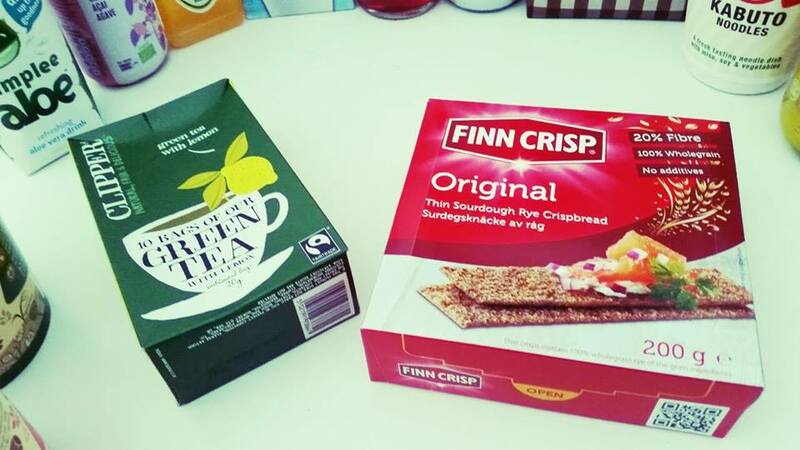 I'm no green-tea lover, or any 'unique' tea for that matter. Give me good ol' English Breakfast tea any day. These got passed onto some colleagues at work who were very thankful of them. These are the equivalent of Ryvita, which is perfect because I have been having this occasionally for my lunch breaks at work as part of my Healthy Extra B (only people that attend SW will understand this!). So I will definitely get some use out of these. They are baked with sourdough, which means these beauties are low in fat with a 'distinctive tangy flavour' - perfect. 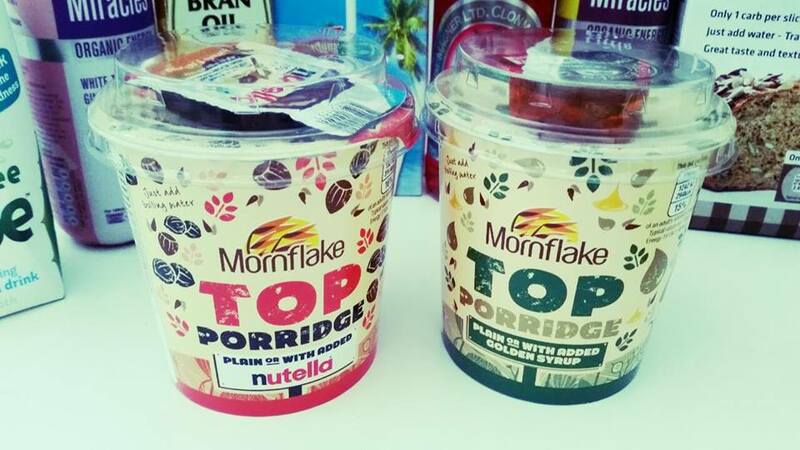 I was super excited when I saw these - Porridge can be used as part of my Healthy Extra B, so I'd only have to syn the Nutella/Syrup should I choose to add them. I think the idea behind these are brilliant, and so convenient for people that have breakfast at work. I've already ate both of these (Obviously going to go for the chocolate one first!). Unfortunately I was left feeling a little deflated - I put the whole sachet of Nutella in and mixed it into the warm porridge. Upon tasting it I could barely recognize that it has Nutella in it - I think the amount of porridge outweighed the Nutella, so the taste was very faint, and may as well have not been there at all. The golden syrup flavor was a lot better, and I may have cheated and added a little sugar in to sweeten it even more! All in all, I was pretty impressed with January's box. 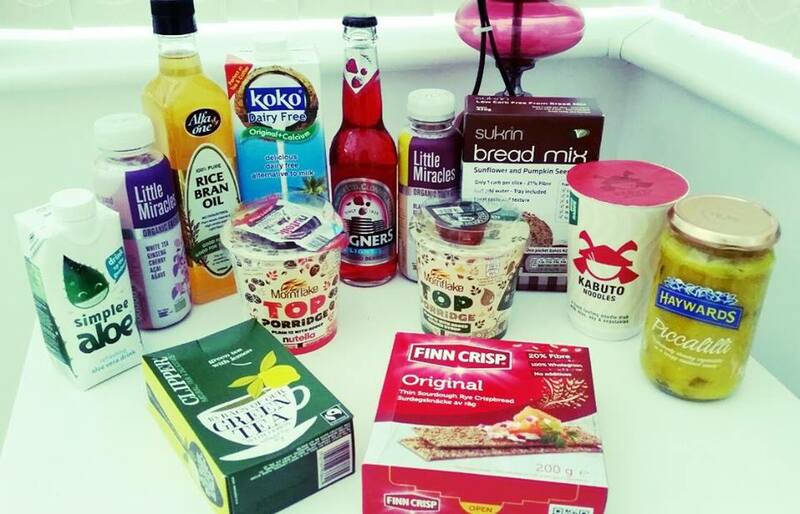 Healthy boxes may not always be as exciting as boxes filled with naughty treat-type foods, but we have to remember to look after our bodies sometimes! If you want to have a Degustabox delivered to your door every month, using the code NT7KZ at checkout will deduct a massive £3 off your order, so your first box will be only £9.99 inc P&P! Please visit Degustabox for more details. Please note - I receive this box for review purposes. Degustabox have 2 separate boxes on offer to customers, one including alcohol (i.e. the magners that is shown above) and a non-alcoholic box (which would be replaced with the Simplee Aloe drink, also above). Customers would not get both of these. I have received both solely for reviewing.